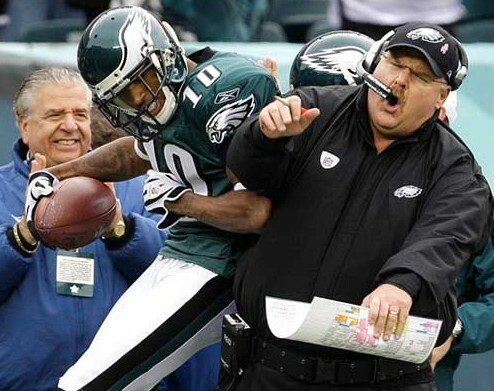 I want to like Andy Reid, I really do, but it’s like he’s a super villain for Eagles fans. He will get the Eagles flying very high so he can assure the crash will be even worse; so much glory, so much excitement, so much disappointment. There are so many things about Andy Reid I will never understand; like how he can be so arrogant that he plugs his long time offensive line coach Juan Castillo in as his defensive coordinator; and then sits there smirking like he’s trying to hold back a bundle of giggles, because he secretly believes it is the fix-all for his defense going into a shortened offseason. You spend all that money bringing in big time free agents to be coached up by a guy who hasn’t coached defensive for over 13 years and that was on the high school level. Then Andy Reid refuses to address the linebacker position, because undersized 7th rounders are always hidden gems. Andy Reid is so arrogant that he plugs Casey Matthews into the MLB position on day 1 of training camp before he even saw a playbook. I personally loved that the Eagles drafted Casey Matthews, but I didn’t want them to cut off his feet, dump him on the side of the road. They threw him to the lions and he was viciously ripped to pieces. Now everyone thinks he was a bust. After the season the Eagles owner Jeffrey Lurie made it clear, in not so clear terms, that Reid had better win and win big or he’ll be sent packing. I personally think the best thing for Andy Reid is a hot seat. Don’t let the fat man get complacent. Make him realize that every little thing matters. If he is worrying about his job he’ll be much less likely to do a bad job. Yes Andy, it’s time for you to do a better job. 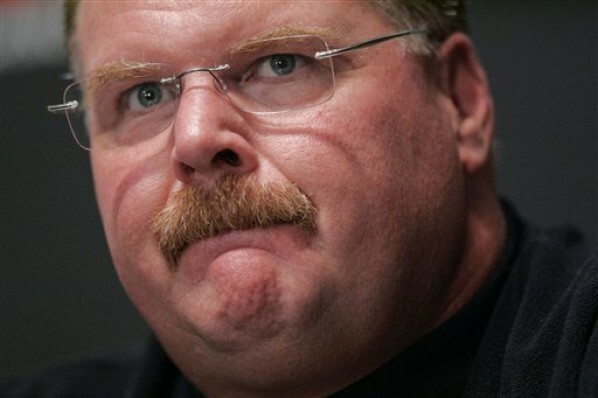 How do you feel about Andy Reid? How can he justify such blind decision making?